April 1, 2019 March 28, 2019 by Mark D.
Model #: 9083, 5.0 out of 5 stars with 2 reviews. Sears offers this Genuine Kenmore refrigerator Water Filter as a 2-Pack. 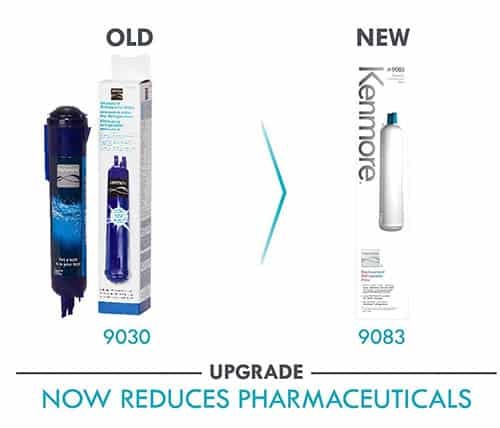 Kenmore Water Filters are certified to greatly reduce a wide range of contaminants. 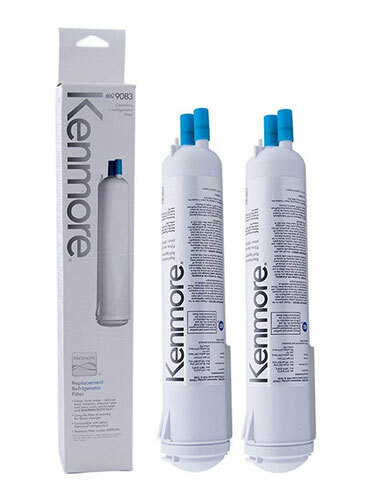 Enjoy a long 6-month filter life of clean, fresh water with this Kenmore Replacement Refrigerator Filter. This filter is NSF-certified to reduce lead, asbestos, chlorine taste and odor, sediment and trace pharmaceuticals. This is a mechanical and chemical reduction filter that’s used in refrigerators which accept Kenmore 9083 filters. To earn NSF certification, water filters must undergo extensive testing to confirm that they meet the strict requirements of American National Standards. NSF certification also requires filters to be re-tested periodically and re-certified each year, which ensures that they continue to meet all stated requirements over time. 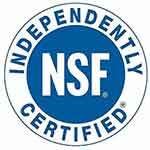 When shopping for a filter, be sure to only consider filters certified by NSF International. 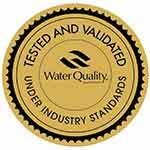 This independent organization certifies filters against three contaminant categories: 1). appearance and taste, 2). health concerns, and 3). New or emerging contaminants. This standard covers point-of-use (POU) and point-of-entry (POE) systems designed to reduce specific aesthetic or non-health-related contaminants (chlorine, taste and odor, and particulates Class I) that may be present in public or private drinking water. 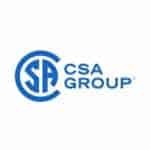 CSA B483.1 was developed by the Canadian Standards Association developed this standard for Drinking Water Treatment Systems. Published in 2007, this standard references the NSF/ANSI DWTU Standards to meet plumbing, mechanical, and electrical requirements for drinking water treatment components and complete systems. Products under this scope include Point of Use (POU) and Point of Entry (POE) plumbed systems and non-plumbed systems. Certified by NSF International to remove 99.3% / >99.4% of lead at Test Parameters: @ pH 6.5 / @ pH 8.5. Reduction may vary based on your water’s PH level. Contaminants reduced by this water filter are not necessarily in all users’ water. This system has been tested according to NSF/ANSI Standards 42, 53, 401 and CSA 483.1 for the reduction of the 30 contaminants listed in the Performance Data Sheet, including lead, pesticides, pharmaceuticals, mercury, chlorine and waterborne parasites. It should be noted that: Contaminants reduced by this water filter are not necessarily in all users’ water. The general capacity for one filter is about 200 U.S. gallons (757 liters) or 6-months time, whichever comes first. Filter life depends on how much you use it and the quality of the incoming water. The flow rate is 0.5 gpm (1.89 lpm). It’s recommended that you change your Kenmore refrigerator water filter every six months to maintain clean and fresh tasting water. This is a genuine Kenmore Refrigerator Water filter. Be very careful when searching for brand-name filters like Kenmore and others. There are sellers who are advertising brand-name filters, then delivering non-brand, generic filters sourced from overseas, which have not gone through the strict certifications that the brand name filters have. Whirlpool has just recently won a lawsuit against such a seller in March, 2019 for doing this very thing. Sears (Kenmore) has made the effort to have independent and thorough testing conducted on their filters. This gives me confidence of the effectiveness of their filters. It’s highly rated by customers. Some consumers will use a Total Dissolved Solids (TDS) tester to determine water quality. A TDS meter measures mineral content in the water in parts-per-million (PPM). This filter is not meant to remove minerals such as calcium, magnesium, potassium, sodium, which are detectable in TDS meters. Many people consider these electrolytes as desirable as they help make the water taste better and are essential for many processes in the body. A TDS meter cannot accurately determine water quality alone. It has no ability to test for a wide range of contaminants. 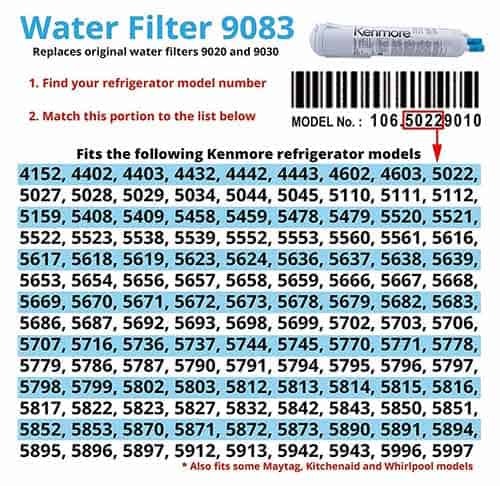 Kenmore says that it’s important to verify that you’re ordering the proper filter for your fridge. Go to Sears Parts Direct website, put in your model number, and it will tell which filters will fit your refrigerator. Your refrigerator water filter has an important role in ensuring you and your family have clean, fresh-tasting water whenever it’s needed. See the filters spec’s and the latest price at Amazon, visit Kenmore 09083 2-Pack. See all Kenmore refrigerator water filters at Amazon. Kenmore is a registered brand of Sears Corporation. Sears is one of the worlds leading major home appliance companies. Kenmore refrigerator filters are the only filters approved for and Compatible with select Kenmore® refrigerators. Hello! 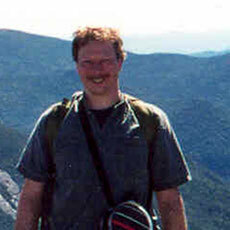 I’m Mark and this is the place where you can learn everything you need to know about water filters for your home. My family gets our water from a private well. First, it’s filtered by our Sediment Filter and conditioned with our Water Softener. Additionally, our Reverse Osmosis System provides crystal clear, purified water for drinking and for supplying our refrigerator and ice maker. Some of the links on this website are affiliate links, which means that I may earn a commission if you click on the link or make a purchase using the link. When you make a purchase, the price you pay will be the same whether you use the affiliate link or go directly to the vendor’s website using a non-affiliate link. By using the affiliate links, you’re helping support the YourHomeWaterFilters.com website. I genuinely appreciate your support.